The purpose of eating is to refuel your body. It's similar to pulling up to the gas station and refueling your car. No matter what grade fuel you gas up with you're off and running in a matter of minutes. But let's take a look at this from a different perspective. If you were a professional race car driver you'd want to make sure that you put the best available fuel into your Indy car, right? In fact, if you put the wrong grade fuel into these highly-refined machines you might cause more problems for yourself over time. The same concept holds true for the human body. Nobody wants to become burdened with the troubles brought on by unhealthy foods and chronic diseases. We don't always make this connection though when it comes to the foods we eat. Often, we put regular unleaded fuel into our body when what we really need is high-performance racing fuel. Our bodies are race cars anyhow, not beat up old junkers. So what exactly are these high quality, health promoting foods anyway? The answer is simple... whole, plant-based foods such as fruits, vegetables, whole-grains, nuts, seeds, and legumes. All of these foods are full of color, life, and disease-fighting ingredients your body needs. If you take a look below you'll see just how powerful whole, plant-based foods are. 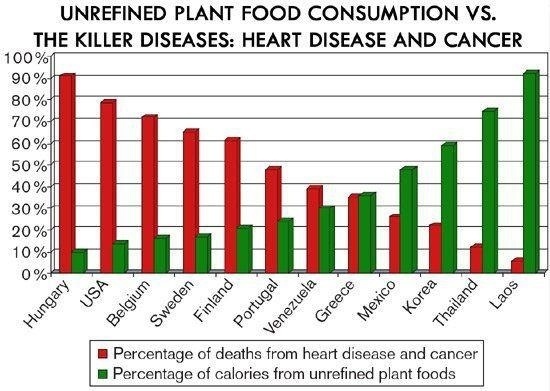 This graph shows the incidence of two of the biggest killers worldwide (heart disease & cancer) across 12 different countries in relation to the amount of whole, plant-based foods consumed by each of those countries. You can see as individuals consumed more plant-based foods (shown in green) their incidence of disease (shown in red) plummets! Cardiovascular disease is the number one leading cause of death worldwide, accounting for over 17.5 million deaths annually according to the World Health Organization. A 12-year study was conducted on diet and heart disease by Caldwell Esselstyn, Jr., MD which included 24 patients with severe coronary artery disease.3 All individuals were put on a whole foods, plant-based diet with less than 10% of their total calories from fat. 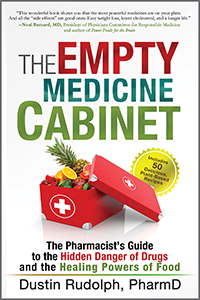 Six patients were non-compliant and released from the study within the first 18 months. These six patients had a total of thirteen new cardiac events after twelve years. Seventeen of the remaining eighteen patients experienced no cardiac events after twelve years. For the eight years preceding the start of the study these same eighteen patients had a total of 49 cardiac events. Follow up tests at the 5-year mark confirmed complete reversal of coronary artery disease in 11 of the 18 patients and partial reversal in the rest. Another interventional study conducted by Dr. Esselstyn resulted in the halting and reversal of heart disease in patients remaining compliant on his whole foods, plant-based diet, which excluded all animal and processed foods.5 Only one cardiac event (stroke) occurred in the 177 adherent patients in this study. Only 2-3% of cancers are primarily due to genetics.6 We all have cancer causing genes inside our body, but these damaged cells don't always turn into cancer. Why not? Because what you eat actually determines whether or not these cancer causing genes are turned "on" or turned "off". Eating a whole foods, plant-based diet turns "off" these damaged genes.7 Plant-based foods are also high in fiber, anti-oxidants, and phytochemicals that help combat cancer. An 18-week interventional study produced an average weight loss of 9.5 pounds, 0.7 percentage drop in A1C levels, and reduction in LDL "bad" cholesterol levels of 13 mg/dl for individuals following a low-fat, plant-based diet.18 There were no calorie restrictions or portion control requirements for those following a plant-based diet. Type 1 diabetics can lower their insulin requirements by up to one-half according to Joel Fuhrman, MD when they adopt a plant-based diet. Please visit the Food For Life - Resources for Diabetes page for more information and helpful resources on diet and diabetes. 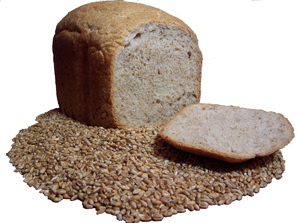 Whole grain/sprouted bread, brown rice, oats, quinoa, millet, etc. 1) Buy most of your groceries in the produce section, and limit the number of items you buy that come from a box, can, or package with a barcode on it. 2) Try and purchase organic, non-GMO fruits and vegetables when possible. It would be ideal if you could buy the top foods from the Environmental Working Group's dirty dozen list this way. Anything you remove the skin on (watermelon, mango, avocado, banana, etc.) generally has fewer pesticides and other harmful chemicals in the edible portion itself and can be bought non-organic if preferred. To learn more about this subject check out my article - Organic Foods - Are They Worth It? 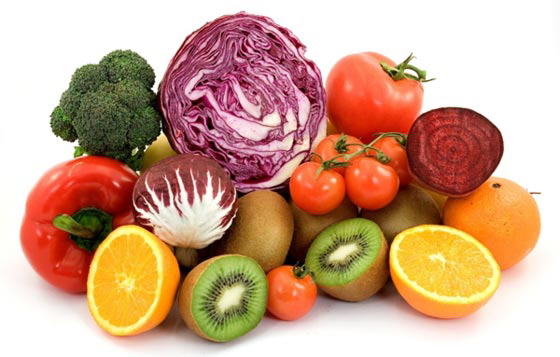 3) At least 50% or more of your fruits and vegetables should be consumed raw. Consuming raw vegetables vs. cooked vegetables was found to protect slightly more against cancer in a review of several studies.34 You can also learn more about the raw vs. cooked food debate by reading my article - To Cook or Not To Cook - The Raw Food Dilemma. 4) Frozen fruits and vegetables are great to have on hand, and they still maintain a high nutrient content while being quick and convenient to use too. 5) Including starch-based, whole foods (brown rice, whole grains, sweet potatoes/potatoes, squash, etc.) is a healthy way of supplying calories to your diet. Your hunger will be satisfied while you remain trim and healthy. For more information on this topic visit Dr. John McDougall's site here. 6) Plant-based foods do not contain detectable levels of cholesterol. If cholesterol shows up on the nutrition label then the package you're looking at has animal products in it and it's best you avoid these items. 7) Incorporate fiber, raw veggies, and fruits into your diet gradually over 2-4 weeks in order to avoid unwanted side effects such as abdominal pain, bloating, and/or gas. Once your body gets used to more fiber these will go away, and both short- and long-term health will improve. 8) To achieve optimal health, you should consume at least 90% or more of your total daily calories from fruits, vegetables, legumes, whole grains, and nuts/seeds. If you have a chronic disease your best bet is to consume 100% of your total daily calories from these plant-based food groups, eliminating all animal and processed foods from your diet so your body can heal. You'll find the more you transition from animal-based foods to plant-based foods the healthier and happier you will become and the less you'll miss your old standbys. 1 Roberts CK, Barnard RJ, Sindhu RK, et al. A high-fat, refined-carbohydrate diet induces endothelial dysfunction and oxidant/antioxidant imbalance and depresses NOS protein expression. J Appl Physiol (1985). 2005 Jan;98(1):203-10. 2 Lidder S, Webb AJ. Vascular effects of dietary nitrate (as found in green leafy vegetables and beetroot) via the nitrate‐nitrite‐nitric oxide pathway. British Journal of Clinical Pharmacology. 2013;75(3):677-696. 3 Esselstyn CB Jr. Updating a 12 -Year Experience With Arrest and Reversal Therapy for Coronary Heart Disease (An Overdue Requiem for Palliative Cardiology). Am J of Cardiology 1999 Aug 1; 84:339-341. 4 Barnard ND, Katcher HI, Jenkins DJ, Cohen J, Turner-McGrievy G. Vegetarian and vegan diets in type 2 diabetes management. Nutr Rev. 2009 May;67(5):255-63. 5 Esselstyn CB Jr, Gendy G, Doyle J, et al. A way to reverse CAD? J Fam Pract. 2014 Jul;63(7):356-364b. 6 Doll R, Peto R. The causes of cancer: quantitative estimates of avoidable risks of cancer in the United States today. J Natl Cancer Inst. 1981 Jun;66(6):1192-1265. 7 Campbell TC, Campbell II TM. The China Study. 2006 (3);43-67. 8 Chang-Claude J, Frentzel-Beyme R, Eilber U. Mortality pattern of German vegetarians after 11 years of follow-up. Epidemiology. 1992 Sep;3(5):395-401. 9 Butler LM, Wu AH, Wang R, et al. A vegetable-fruit-soy dietary pattern protects against breast cancer among postmenopausal Singapore Chinese women. Am J Clin Nutr. 2010 Apr;91(4):1013-9. 10 Mills PK, Beeson WL, Phillips RL, Fraser GE. Cohort study of diet, lifestyle, and prostate cancer in Adventist men. Cancer. 1989 Aug 1;64(3):598-604. 11 World Cancer Research Fund. Food, Nutrition, and the Prevention of Cancer: A Global Perspective. American Institute of Cancer Research. Washington, DC: 1997. 12 McCann SE, Freudenheim JL, Marshall JR, Graham S. Risk of human ovarian cancer is related to dietary intake of selected nutrients, phytochemicals and food groups. J Nutr. 2003 Jun;133(6):1937-42. 13 Ross JA, Kasum CM, Davies SM, Jacobs DR, Folsom AR, Potter JD. Diet and risk of leukemia in the Iowa Women's Health Study. Cancer Epidemiol Biomarkers Prev. 2002 Aug;11(8):777-81. 14 Tantamango-Bartley Y, Jaceldo-Siegl K, Fan J, Fraser G. VEGETARIAN DIETS AND THE INCIDENCE OF CANCER IN A LOW-RISK POPULATION. Cancer epidemiology, biomarkers & prevention : a publication of the American Association for Cancer Research, cosponsored by the American Society of Preventive Oncology. 2013;22(2):286-294. 15 Maskarinec G, Takata Y, Pagano I, et al. Trends and dietary determinants of overweight and obesity in a multiethnic population. Obesity (Silver Spring). 2006 Apr;14(4):717-26. 16 Barnard ND, Scialli AR, Turner-McGrievy G, Lanou AJ, Glass J. The effects of a low-fat, plant-based dietary intervention on body weight, metabolism, and insulin sensitivity. Am J Med. 2005 Sep;118(9):991-7. 17 Barnard ND, Cohen J, Jenkins DJ, et al. A low-fat vegan diet improves glycemic control and cardiovascular risk factors in a randomized clinical trial in individuals with type 2 diabetes. Diabetes Care. 2006 Aug;29(8):1777-83. 18 Mishra S, Xu J, Agarwal U, Gonzales J, Levin S, Barnard ND. A multicenter randomized controlled trial of a plant-based nutrition program to reduce body weight and cardiovascular risk in the corporate setting: the GEICO study.European Journal of Clinical Nutrition. 2013;67(7):718-724. 19 Appleby PN, Thorogood M, Mann JI, Key TJ. The Oxford Vegetarian Study: an overview. Am J Clin Nutr. 1999 Sep;70(3 Suppl):525S-531S. 20 Swank RL, Dugan BB. Effect of low saturated fat diet in early and late cases of multiple sclerosis. Lancet. 1990 Jul 7;336(8706):37-9. 21 Frassetto LA, Todd KM, et al. Worldwide incidence of hip fracture in elderly women: relation to consumption of animal and vegetable foods. J Gerontol A Biol Sci Med Sci. 2000 Oct;55(10):M585-92. 22 Robertson WG, Peacock M, Heyburn PJ, et al. Should recurrent calcium oxalate stone formers become vegetarians? Br J Urol. 1979 Dec;51(6):427-31. 23 Eye Disease Case-Control Study Group. Antioxidant status and neovascular age-related macular degeneration. Arch Ophthalmol. 1993 Jan;111(1):104-9. 24 Giem P, Beeson WL, Fraser GE. The Incidence of Dementia and Intake of Animal Products: Preliminary Findings from the Adventist Health Study. Neuroepidemiology 1993;12:28-36. 25 Gillman MW, Cupples LA, Gagnon D, Posner BM, Ellison RC, Castelli WP, Wolf PA. 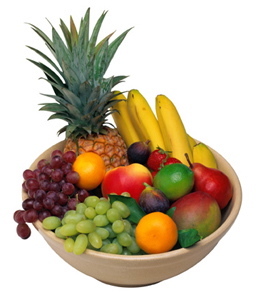 Protective effect of fruits and vegetables on development of stroke in men. JAMA. 1995 Apr 12;273(14):1113-7. 26 McDougall J, Bruce B, Spiller G, Westerdahl J, McDougall M. Effects of a very low-fat, vegan diet in subjects with rheumatoid arthritis. J Altern Complement Med. 2002 Feb;8(1):71-5. 27 Müller H, de Toledo FW, Resch KL. Fasting followed by vegetarian diet in patients with rheumatoid arthritis: a systematic review. Scand J Rheumatol. 2001;30(1):1-10. 28 Clinton CM, O’Brien S, Law J, Renier CM, Wendt MR. Whole-Foods, Plant-Based Diet Alleviates the Symptoms of Osteoarthritis. Arthritis. 2015;2015:708152. 29 Kaartinen K, Lammi K, Hypen M, Nenonen M, Hanninen O, Rauma AL. Vegan diet alleviates fibromyalgia symptoms. Scand J Rheumatol. 2000;29(5):308-13. 30 Farchi S, Forastiere F, Agabiti N, Corbo G, Pistelli R, Fortes C, Dell'Orco V, Perucci CA. Dietary factors associated with wheezing and allergic rhinitis in children. Eur Respir J. 2003 Nov;22(5):772-80. 31 Pixley F, Wilson D, McPherson K, Mann J. Effect of vegetarianism on development of gall stones in women. Br Med J (Clin Res Ed) 1985;291:11-2. 32 Beezhold BL, Johnston CS, Daigle DR. Vegetarian diets are associated with healthy mood states: a cross-sectional study in seventh day adventist adults. Nutr J. 2010 Jun 1;9:26. 33 Hogan, JB. 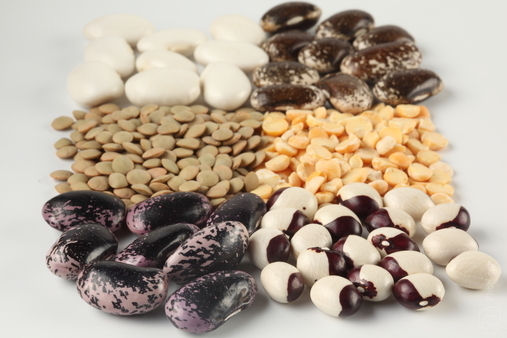 Plant-based diets in kidney disease management. Dial & Transplant. 2011 Sep;40(9):407–409. 34 Link LB, Potter JD. 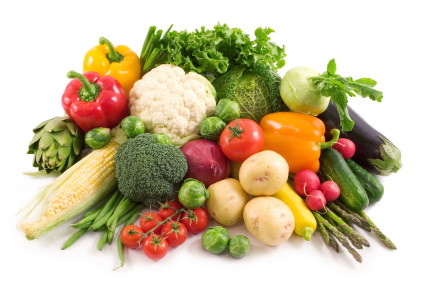 Raw versus cooked vegetables and cancer risk. Cancer Epidemiol Biomarkers Prev. 2004 Sep;13(9):1422-35.